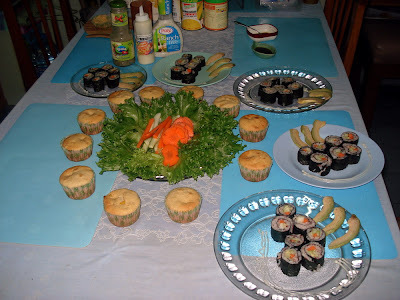 My family had a simple get-together dinner at my place to welcome the New Year. 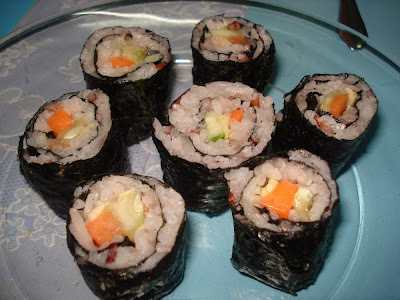 Tita Noims prepared the Korean kimbap, a dish that resembles the Japanese Sushi. 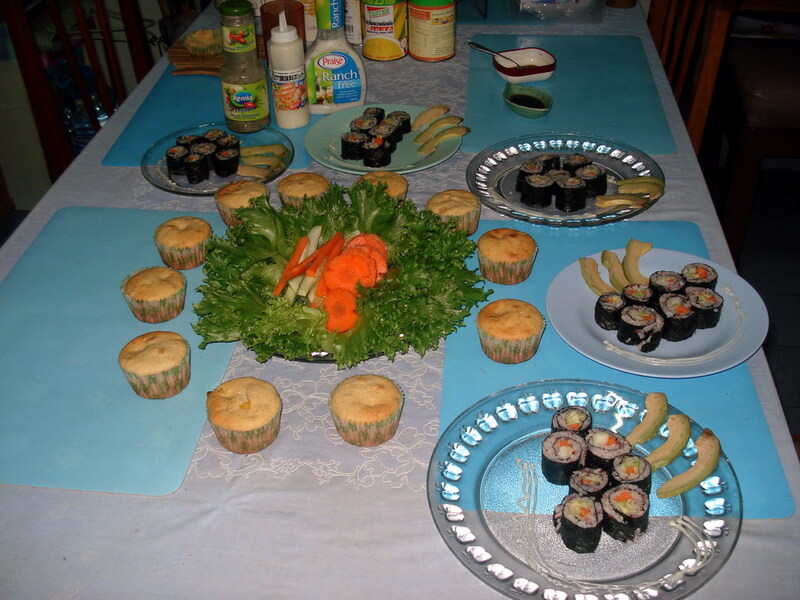 I baked some corn muffins a friend requested me to make, my sister tossed some salad and for the dessert, we had Mais Con Yelo, prepared by me and my sister. 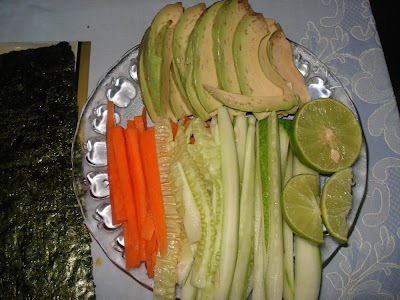 The filling for the Korean Kimbap. Avocados were so expensive in this part of the world. I have not heard of anyone serving Mais Con Yelo at Media Noche but Thailand is a tropical country so eating this at any time of the year is acceptable. So refreshing!